When I built my home in 1989, I thought it was pretty well-built. After a time I became aware of some its limitations. 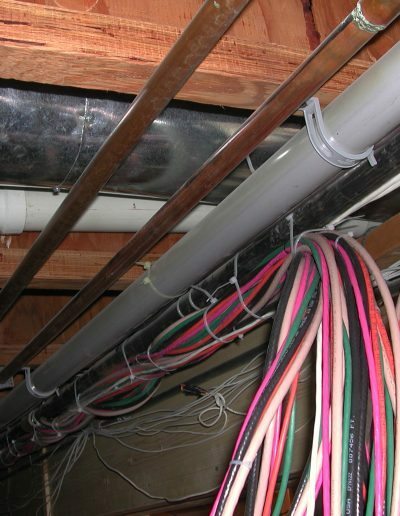 One area in particular was the lack of good low voltage wiring. 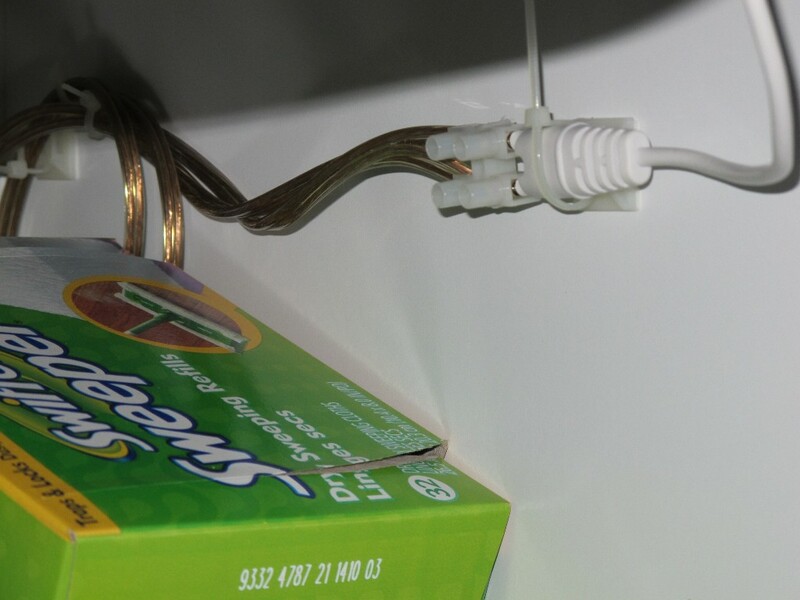 I had specified to the builder that the phone wiring was to be a star configuration with all jacks being home run back to a 66 block – such hi-tech! Well, the builder daisy chained the wiring and worse the second line had crosstalk. Modems of the day did not take kindly to that so after a few attempts to get the builder to repair it, I ripped out the wiring and did it over to my satisfaction. That fix sufficed for a time. 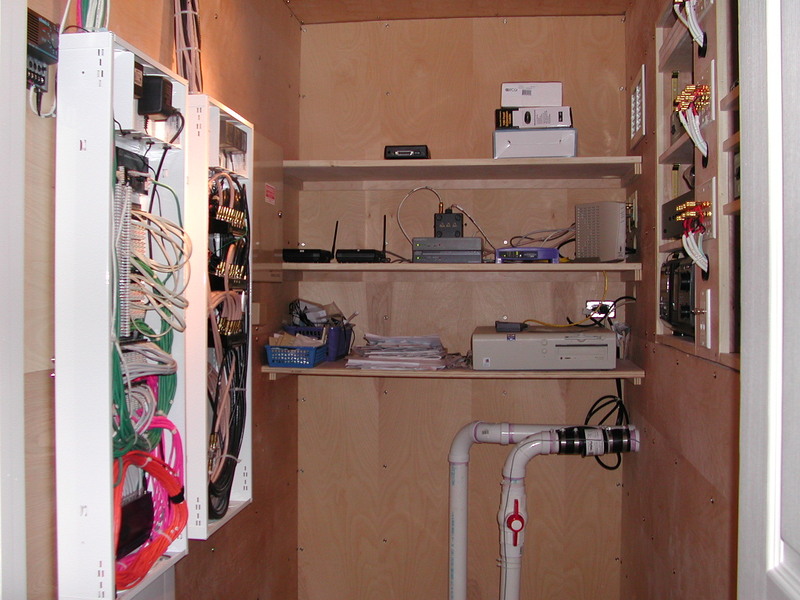 This page discusses how I have used structured wiring, audio, video and automation software. 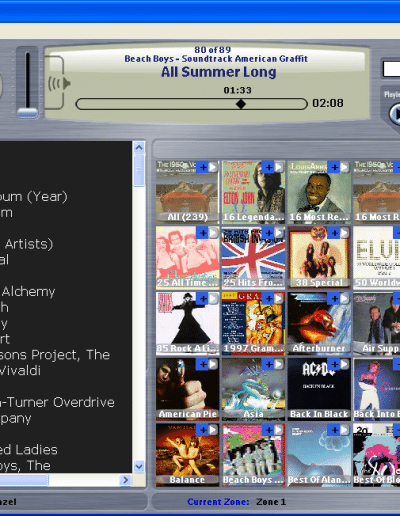 It also lists the specific brands and models I have used as well as some interesting software. Also don’t overlook the picture gallery for images of some of the features I talk about. 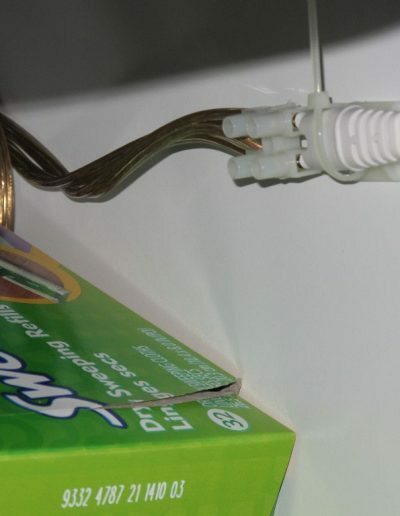 Structured Wiring: In the late nineties vendors started talking about structured wiring systems. Around 2000 these systems and my own knowledge had advanced to the point where I knew what I was looking for. I tried finding vendors, but those I interviewed revealed that they had no real expertise with structured systems. After many months I decided I could design and overseer this process using my step-children. 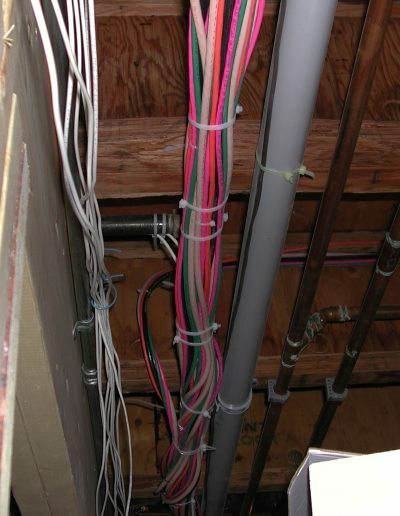 This work was coordinated with the basement improvement project. 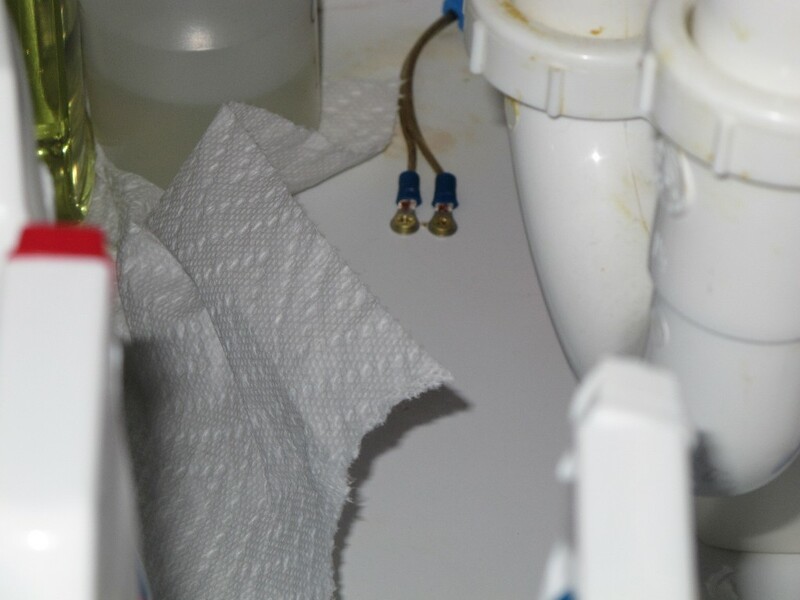 All of my home’s mechanical systems were upgraded. The height of the ceiling ruled out any type of drop or false ceiling and still maintain a minimum 7′ 4″ height so we installed drywall. All water supplies (now covered by the drywall ceiling) were evaluated and shutoffs installed in accessible areas. 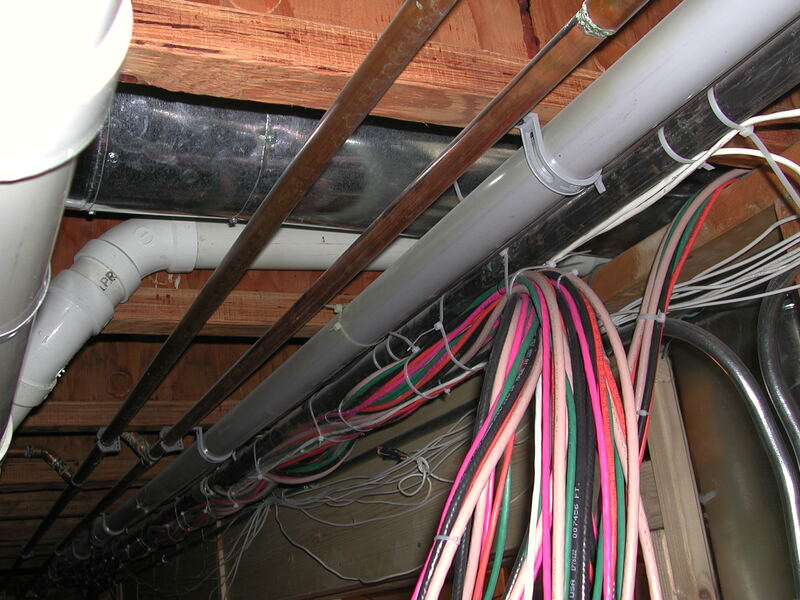 The HVAC was relocated from the basement floor to the crawl space; hot water heaters were relocated to maximize floor space. 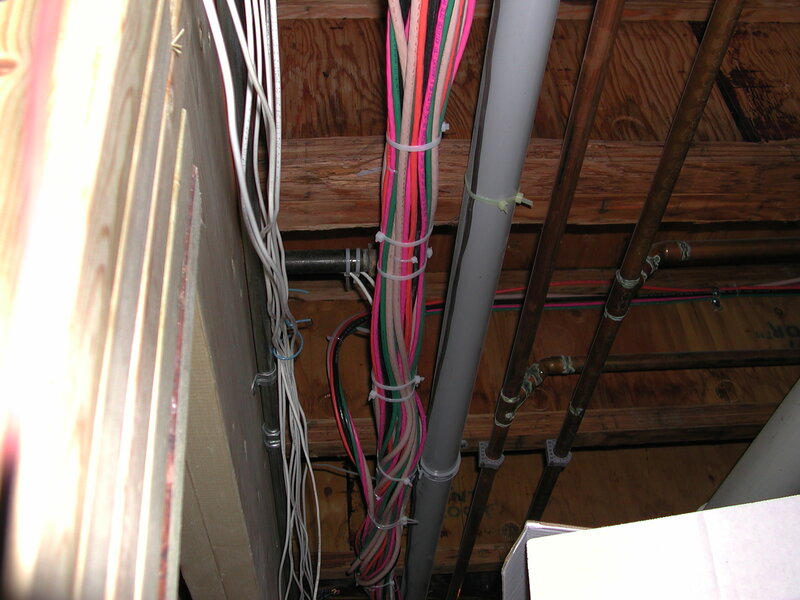 The house’s A/C electrical was updated with a second panel, and low-voltage wiring was replaced where needed to achieve the goal of a structured wiring system to accommodate today’s use and for future growth. 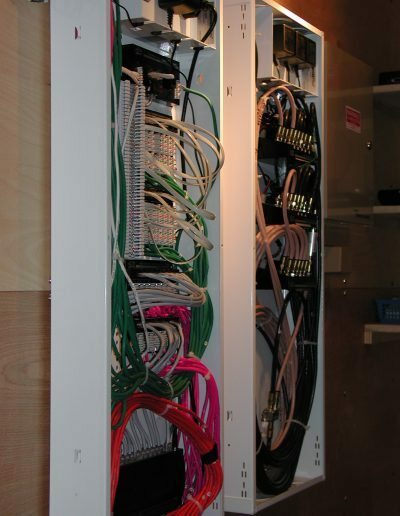 When completed, we had installed about 8000 feet of cable and there are 14 data/Telco/miscellaneous outlets (Leviton QuickPort – all configured the same) scattered throughout the house. Each location supports two RG6 quad shield (white and beige) coax cables for TV, three Cat5e for telephone, network, miscellaneous (segments of the miscellaneous run now support the 1-wire temperature and humidity sensor network). Different colors were used for each type of run. I used Belden wire for everything except speakers; for them I used Monster cable. 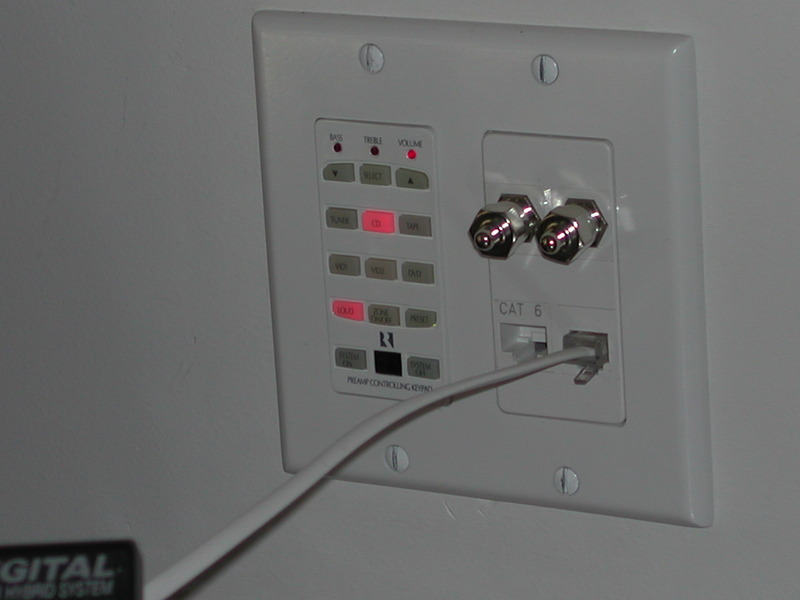 Audio: Infrared repeating (IR) enables control of the electronics in a wiring closet from anywhere (almost) in the house, using Phillips Pronto ( the Pronto’s while good for their time have been replaced by Harmony) remote controls or iPods. The IR repeating allows music or video to be played from the digital music library, FM radio, DVD (440 disc changer) or VHS (The DVD and VHS are now obsolete and are not used) to serve all of the major rooms. A little modest by today’s standards, but it’s just my significant other and me, so it is more than sufficient. Music hosting has evolved from a PC based J. River Media Center/Netremote to now being hosted by a NETGEAR ReadyNAS Duo running the Squeezecenter served to the Logitech Squeezebox Duet (which is a source on the Russound) and this is all controlled by iPeng’s iPod App or the Duet controller. 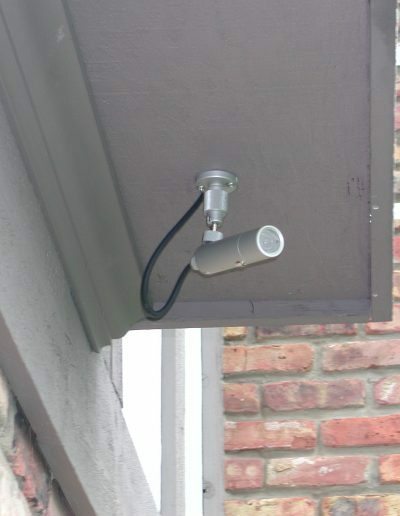 Video: There are four video surveillance cameras mounted around the exterior of the house. 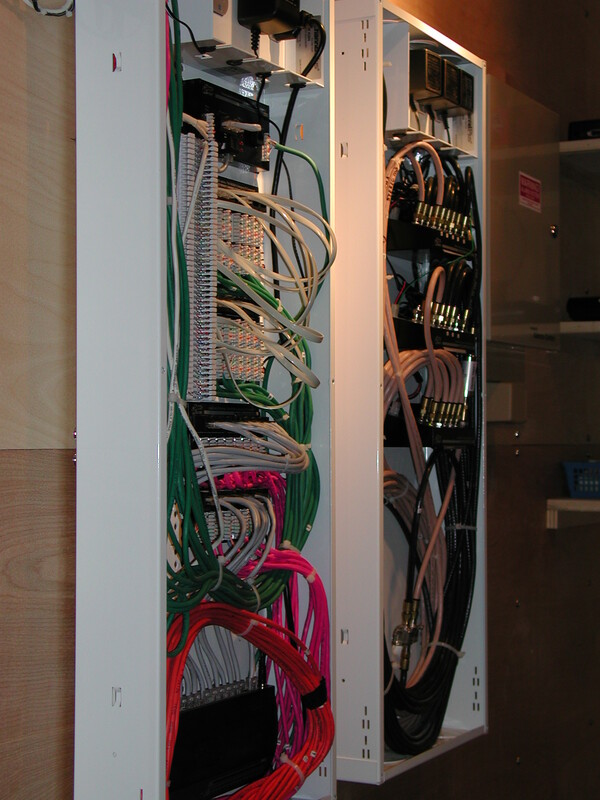 Their output (base band) is split using simple “Y” cables and connected to video modulators. The modulators outputs are to channels 80, 84, 88 and 92 so from any TV, you can see who is trying to annoy us – the cameras also have sound. This video output is split to a StarDot Express 6 Video Server, which network enables the output and to the modulators for the TV’s. Because of the migration from NTSC (analog) the modulators are becoming obsolete (as in rapidly obsolete) and I have not found an affordable ATSC (digital) solution. 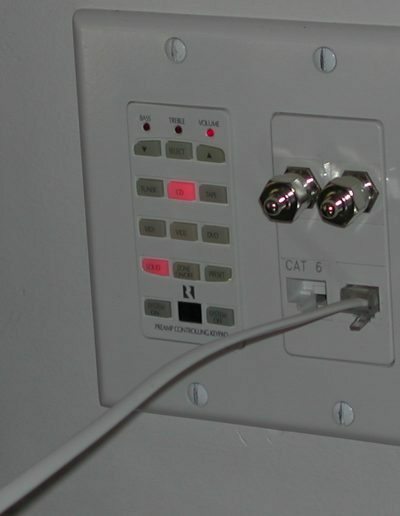 Savvy readers will complain that most if not all TV’s still come with the old analog tuners while true the cable company isn’t playing nice with the old analog spectrum and there isn’t a clear space to insert these channels within the modulators range. 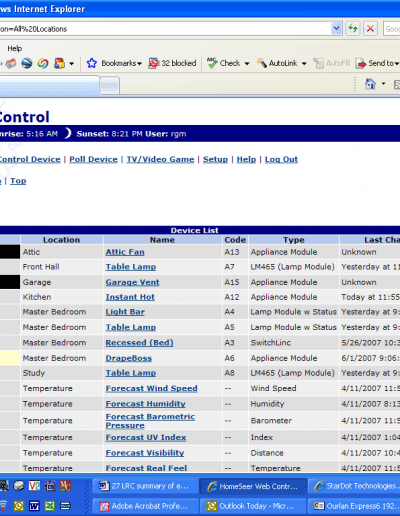 Automation Software: A HomeSeer Hometroller (Series 2) manages the HVAC, security and interior lighting. Lighting management is based on occupancy or sunrise/sunset. Since HomeSeer knows about the changing times of sunrise, you never have to play the game of resetting timers. Perhaps a small task for most, but when you are confined to a wheelchair, considerably more effort goes into that simple task. 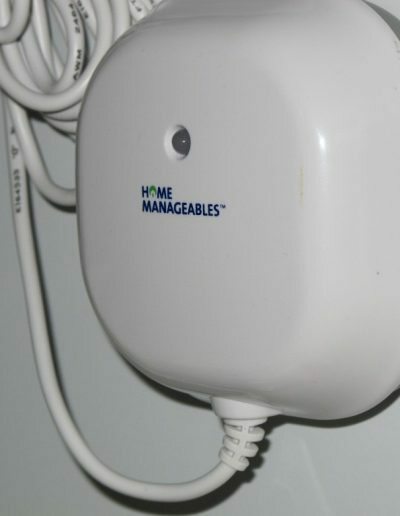 HomeSeer controls the device used to supply instant hot water throughout the house. It interfaces to a constellation of one-wire (Dallas Semiconductor) devices throughout the house that monitor temperature and humidity both inside and outside. 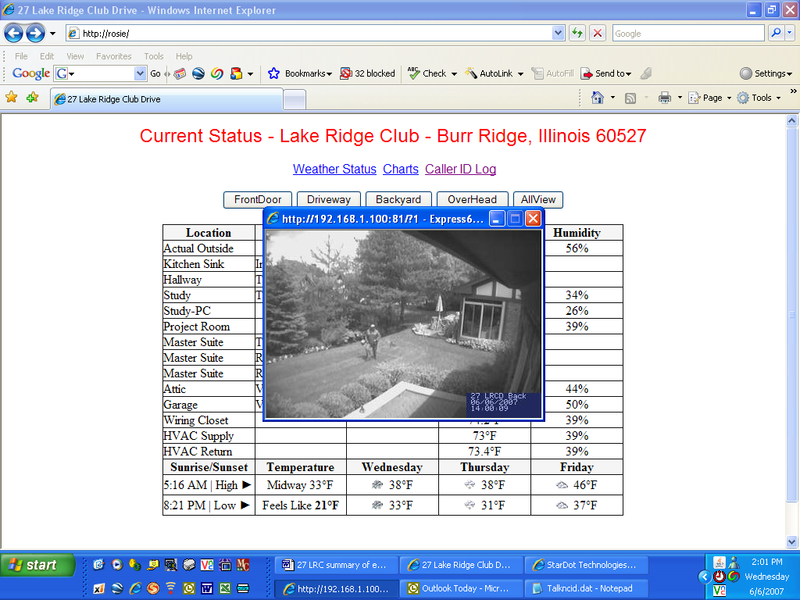 Through scripts I wrote, various conditions are evaluated and HomeSeer then determines which systems are to be active. 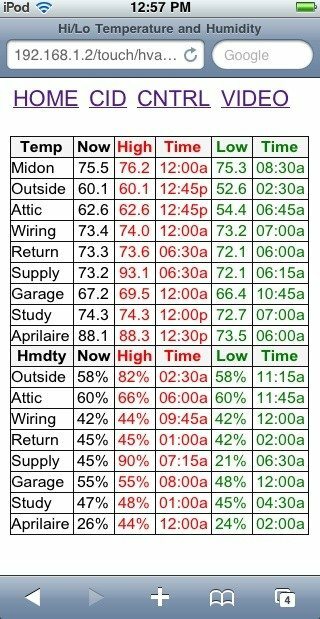 For example, HomeSeer every so often samples the outside and attic temperatures. 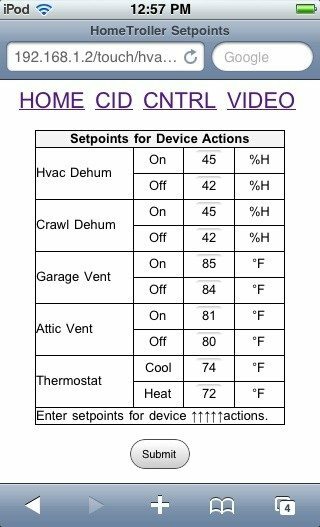 Then HomeSeer determines if attic ventilation is needed and activates that system only when needed, only when it will be effective and only for the time needed. 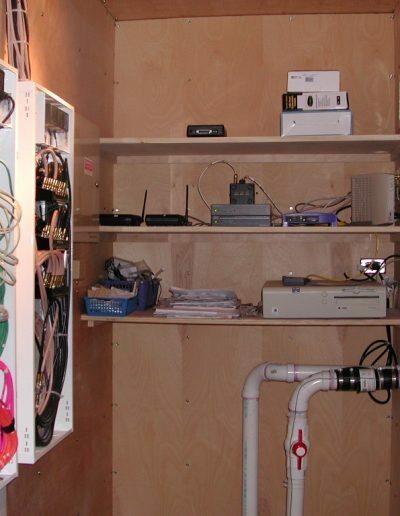 One temperature sensor is located in a cabinet that houses a PC tower. 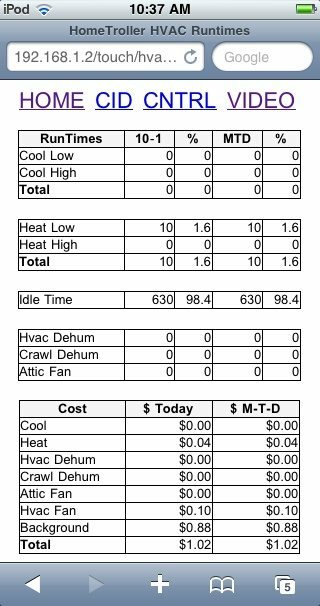 Its purpose is to monitor the temperature and send out an e-mail alert when the temperature exceeds a preset limit, indicating fan failure. 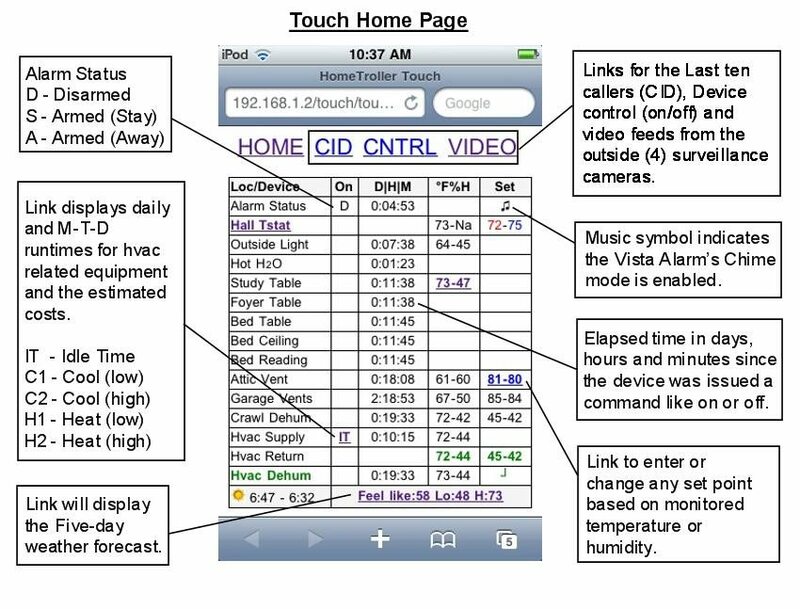 I do employ various plug-ins (or scripts) available for HomeSeer. 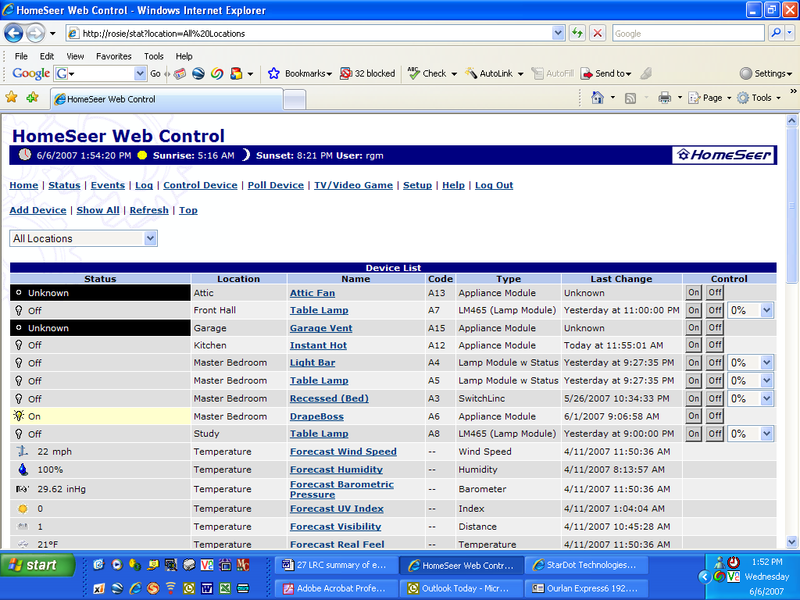 Presently I am using SnevlCID, Ademco (AD2USB) Vista Alarm, Global Cache GC100, WeatherXML and Midon Designs Plug-ins (or scripts) for collecting and populating HomeSeer devices. Blat is freeware SMTP command line e-mailer. It does a couple of things for me. Every evening it launches a DOS batch file that sweeps any new or changed data from the file server to another PC for a redundant degree of data protection. It also does some other housekeeping activities. After each activity is complete, the batch file calls Blat and e-mails the house admin account an advisory message. This way I can be notified daily of a potential critical problem, which gives me piece of mind. The batch file also picks up the “NTBACKUP” log file and e-mails it as well. 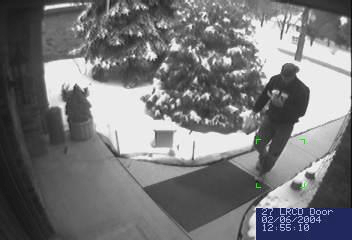 i-Catcher Sentry detects motion on the monitored video feeds. If it detects motion within the monitored area, it will record it to the PC host and e-mail several jpg files of the event to the house administrator’s e-mail account. RealVNC is a freeware tool that remotely controls PCs. It is an effective tool, albeit with a few problems – mostly with video refreshing – but useful. 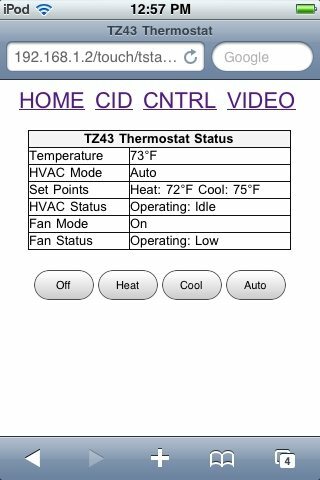 HomeSeer running on a purpose built Hometroller is my home automation controller. Data Sweeps: I use a primitive, but effective script for various housekeeping functions, including making a daily easily accessible, accumulating archive of my data. It runs XCOPY and I consider it a quick and dirty recovery tool in the event you screw something up that doesn’t require a complete system restore. It also e-mails (BLAT) me logs of the process, including those from NTBACKUP. The Windows Scheduled Tasks feature runs the sweep script overnight; see Start > All Programs > Accessories > System Tools for this tool. The scheduler also does daily backups using Microsoft’s NTBACKUP program. NTBACKUP comes with Windows XP but usually isn’t installed by default. While not a perfect tool, it works and it’s free. You won’t be able to use the script as written, but with some easy changes, you should be able to adapt it for your own use. 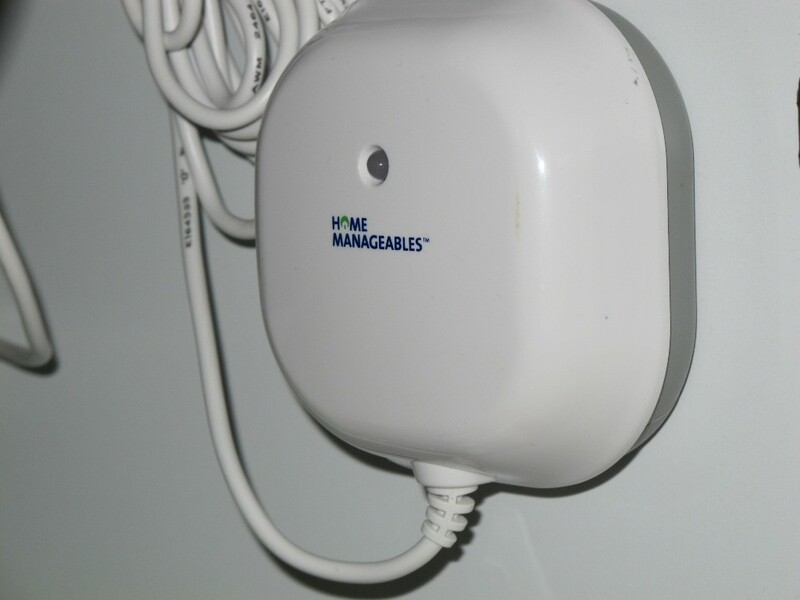 Homemanagable Z-Wave FS001 flood sensor. 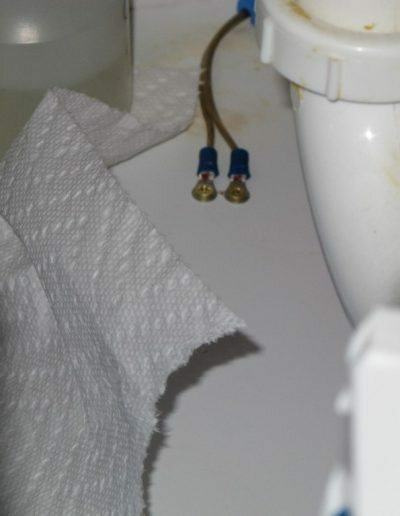 Unmodified flood sensor probe now connected using a RadioShack screw terminal strip that was cut for purpose. Extra moisture probes created from zip cord and crimp connectors screwed to the monitored (2) locations. 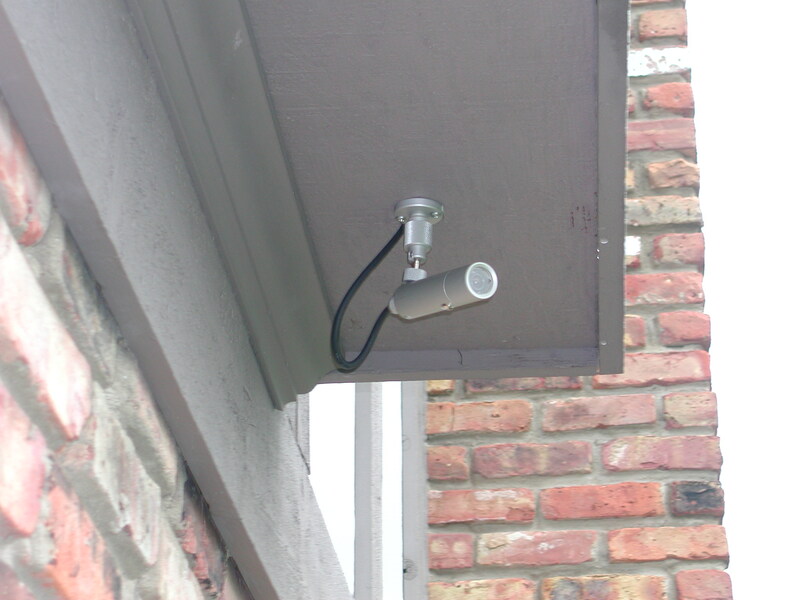 A single FS001 now monitors 2 separate areas.